We have designed this prosthesis style to be exactly like the expensive breast forms available from premium brands like Amoena, but to be far more cost effective for you. How do we do make our products cheaper? First of all we do not compromise on the product. We use the same special lightweight medical grade silicone in the forms. We manufacture them in the same way and do not sell products we wouldn't be happy to buy ourselves. We keep our costs down by reducing the packaging. Your forms will come in a simple plain resealable plastic bag. We do not spend out on fancy packaging as we are an internet company and do not need to entice you with it. By keeping packaging to a minimum we keep our costs down enabling lower prices for you and reducing our carbon footprint. The product can be stored in the bag at home, or safely in your underwear drawer. We are a very small family business with very low overheads compared to the big brands. We rely on word of mouth rather than expensive advertising. 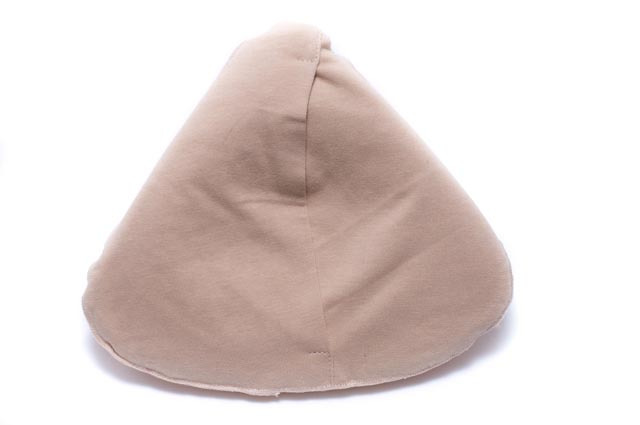 Our lightweight triangle prosthetic breasts can be compared to the Tru Life Silk range. It is a nice simple breast form in a triangle shape, 33% lighter than our traditional breast forms and with a slight concave back. The back can mould to any amount of breast tissue for a comfortable fit. 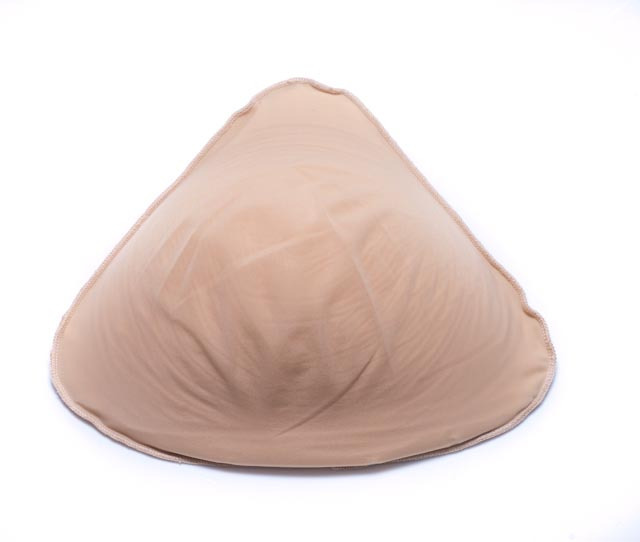 The outer cover of the prothesis is soft and flexible for comfort but these breast forms are supplied with a washable fabric cover if you wish to use them. They can be used for either the left of right breasts. They are of an average depth using the Amoena ratings. We have a full refund policy and are happy to help by email if you need advice. We know our forms will not suit all customers and will only advise our products if we feel they would suit you. We are a very small UK store with a personal touch.